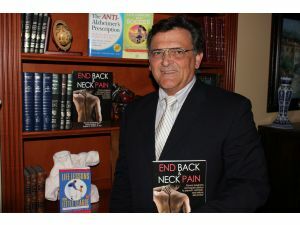 Dr. Vincent Fortanasce knows the field of medicine as well as anyone. He has studied psychiatry at Yale, neurology at the University of Southern California and orthopedic rehabilitation at Rancho Los Amigos Hospital, one of the top rehab centers in the country. He has spent decades treating thousands of patients, including world-class athletes and celebrities. Many people have become familiar with Fortanasce by reading bestselling books, the most recent of which is The Anti-Alzheimer’s Prescription, released in 2008. Others know him from his shows on bioethics for St. Joseph Radio Presents. He fought against California’s pro-embryonic stem-cell research Proposition 71 and has debated assisted-suicide advocate Jack Kevorkian. Over the course of his 30-plus years in medicine, Fortanasce has seen immoral practices such as abortion legalized, but now has an even greater concern — immoral practices being made mandatory. His warning: Natural law may be outlawed if those who care about it do not fight. Trent Beattie: You went from high-level athletics to the medical profession. You seem to have always been interested in the workings of the human body. Dr. Fortanasce: Yes, I’ve been interested in the workings of the human body all my life. My father encouraged that in me. He was a New York state handball champion and my Little League coach in 1952 on Long Island, which was one of the first Little League teams. My father even helped me to coach my own sons for their Little League teams in the 1980s. My own childhood interest in sports carried on to college, when I attended Seton Hall University and played third base on their baseball team. I also won a gold medal in weightlifting at the 1961 Junior Olympics and was an alternate member of the 1964 U.S. Olympic team. I actually studied for the priesthood for about five years, but did not continue with that. Instead, I studied psychiatry, and in doing so, I realized that I was more interested in how I liked physical medicine more than mental medicine. That’s what led me into neurology and orthopedic rehabilitation. The way physical things affect how our minds function is a fascinating thing. Trent Beattie: What can you tell the skeptic who thinks that the Church’s teachings on the dignity of human life are somehow inconsistent with modern medical science? Dr. Fortanasce: You simply cannot be a scientist without believing in God. How can our marvelous universe — and within it, the human body, which is so intricate — how can these things even exist without a Creator? It’s just not possible for such amazing things to come about from mere chance. There has to be a Supreme Being, and this Being cannot contradict himself. He would not reveal something to us which would go against the natural world he created. The Church’s teachings on the dignity of human life fit in exactly with medical science. In fact, we would be in a bad position if we didn’t heed the Church’s teachings on human life. That’s where a lot of the world is today, because they won’t let the Creator into his own creation. We do have free will, but only in conforming our will with the will of the One who created us can we function physically, mentally and spiritually as we ought. There are even physical benefits to prayer and forgiveness, for example. It’s God’s way of rewarding us through our human nature, of spurring us on to do more good. If we’re petty and negative, that has a negative physiological correspondence to it which harms our bodies. On the other hand, being magnanimous and positive also has a physiological correspondence, but in that case, it’s beneficial to us. When we pray, there is a specific response from the body. It starts in the neocortex area of the brain with a willful decision to pray. Then a series of events occurs, including activity in the frontal inferior gyrus, or the “optimistic center” of the brain. This slows down adrenaline production and leads to relaxation of the nervous system. Blood pressure decreases and our muscles relax. Simultaneously, the part of the brain called the hypothalamus is engaged. This produces dopamine and seratonin, or the “feel-good” neurotransmitters. When these two neurotransmitters are abundant, our stress reactions change. Exterior stressors do not elicit panic, but an “it’s okay” reaction. Panic would correspond with overproduction of adrenaline, which, as we saw, doesn’t happen when praying. Dr. Fortanasce: Yes, prayer is a gift from God which enables us to gain a foretaste of impassibility of the saints in heaven. Nothing can harm a soul in heaven, and in a certain way, although not exactly the same, nothing can harm a soul on earth that prays consistently. This is due not only to invisible realities, but also to material ones that occur physiologically. God constantly works through secondary causes, so this shouldn’t be a surprise to us. Depression is correlated to low levels of serotonin and dopamine, which is the basis of anti-depressant drugs. These drugs artificially increase serotonin and dopamine levels, thereby relieving depression. Studies have shown that prayer can do the same thing, and without any negative side effects. Along with exercise, prayer vitalizes the “optimistic center” of the brain and enables us to deal well with the challenges of life. Trent Beattie: Health care has been a topic of much discussion recently. What are some of the basic principles that should guide our views and decisions in this matter? Dr. Fortanasce: This is my real specialty: medical ethics. What we have to do is keep the doctor-patient relationship in the forefront. That’s what medicine is all about: treating and healing human beings. The problem comes in when organizations like health maintenance organizations (HMOs) operate; they are most vigilant about the costs. This leaves the doctor-patient relationship to deteriorate. We don’t need far-away, number-crunching bureaucrats to make decisions for us that limit treatment options. What we need is to have caring, compassionate doctors who take the time to treat patients as individuals. 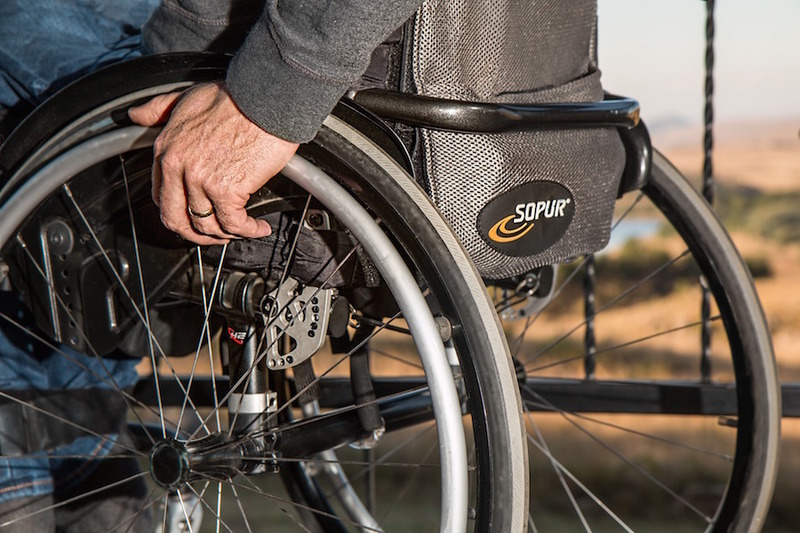 Patients are not burdens or costs that need to be dealt with or even dispatched; they’re human beings with dignity that need to be accepted and treated as such. We should not reward individual doctors on the basis of not giving patients care. This is what HMOs do: The doctors who cost them the least get the highest bonuses at the end of the year. This is obviously not how health care should work; doctors should not be getting bonuses for frugality in treatment, but bonuses for effective and compassionate care. Another problem is that organizations which have been reliable in the past are now failing us. For example, the American Medical Association has lost its soul. The AMA is now led by those unwilling to reason about morality and commonsense science. They endorse [human]embryonic stem-cell and cloning research, which means the destruction of innocent human lives. This is exactly the opposite of what medicine is about. We’re called to heal, not to kill, and physicians — especially Catholic ones — need to stand up and do something about it. The National Catholic Bioethics Center’s website has opportunities for us to do just that. Trent Beattie: Are there any specific bioethics issues that need to be addressed more than others? Dr. Fortanasce: A commonsense question to ask in health care is: “What is best for the patient?” With children specifically, the question is: “What is best for the child?” We can list all kinds of things that are good: no diabetes, no allergies, no cancer, etc. The next question becomes: “Should we treat the child before birth or after birth?” I believe the AMA leadership will say that it’s best to do so before birth and that we should use pre-genetic selection and eugenics to do so. What makes this especially dangerous is that, unlike embryonic stem-cell research, there will be actual results, or healthy babies. So we have to ask why we can’t do something that will produce a good. 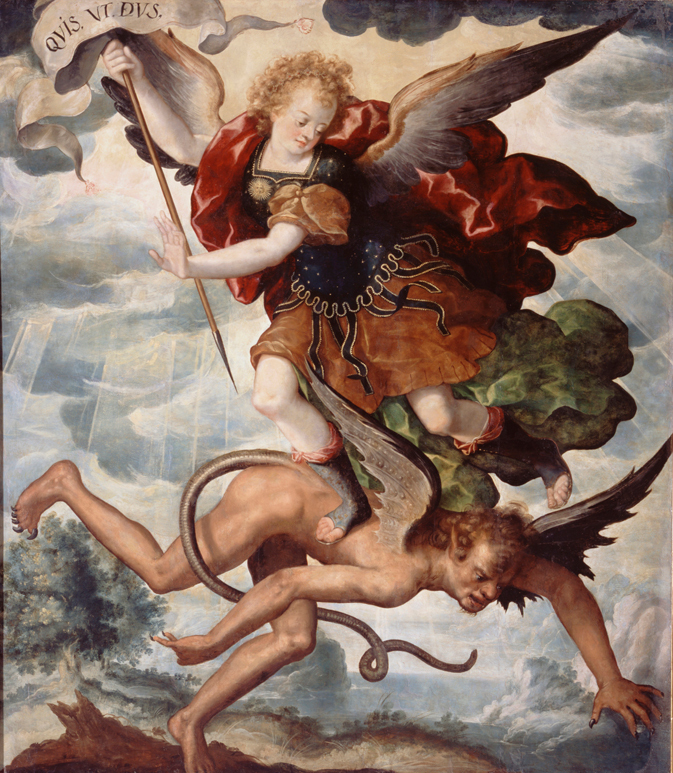 No evil can be done for a possible good, but that will be difficult to convince people of when they see the good in front of them but not the evil that has been done in the lab to the human embryo, or humans in their most vulnerable stage. I believe that the biotechnology industry will use the AMA to force the use of pre-genetic screening. This will be done under the banner of “compassion for children.” Those who object will be labeled as cruel and could be jailed for noncompliance. There is legal precedent for this with Jehovah’s Witnesses, who object to blood transfusions. Anyone who objects to “compassion for children” could be jailed, which includes faithful Catholics. This is outlawing the natural law, plain and simple. Trent Beattie: What are some of the best resources for the layperson to read that integrate sound science with Church teaching on life issues? Dr. Fortanasce: Believe it or not, one of them is my own book Life Lessons from Little League. In the book we explain how conscience is formed, how you can help a young person understand how he fits in with the rest of society. For example, if you just punish a kid for throwing a bat, he might not necessarily learn from it. But if you explain to him why throwing a bat is dangerous, how it can injure someone else, etc., then he makes the connection with himself and how he should treat others. The Golden Rule applies here. When we have a solid moral foundation to draw on, all the challenges that come with new medical techniques are really quite simple. It’s when there’s no foundation, or a shaky one, then all the problems come in. 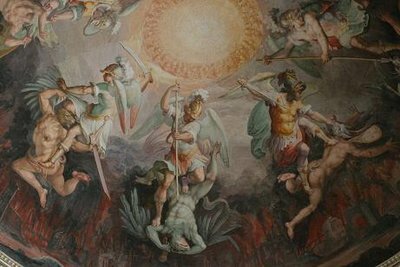 Abortion, embryonic stem-cell research, assisted suicide and the like may be seen as “necessary evils” or even as goods. This is what happened in Nazi Germany and what has happened in our own country with abortion specifically, and we’re headed in that direction with the other issues. Wesley J. Smith writes very well, and one of his books is called Culture of Death: The Assault on Medical Ethics in America. There are also shows I’ve done on pre-genetic selection and other important topics for St. Joseph Radio Presents. Trent Beattie: You’ve debated assisted-suicide proponent Jack Kevorkian. What stands out in your mind from these debates? Dr. Fortanasce: Jack Kevorkian was really after people at the end of life whom he called “useless,” people whom he thought could be made useful by donating organs. Criminals on death row and Alzheimer’s patients fit into this category of people no longer considered as people, but merely as animals. They would die anyway, Kevorkian thought, so why not make use of them? This is done through “medicide,” or killing people to make medical use of them, which is what the Nazis did. When German doctors were asked how they could participate in the Nazi eugenic projects, they gave the same answer in three parts. The first reason was the Jews were not people, the second reason was they would die anyway, and the third was that we should make use of them. It’s not okay to kill people with Alzheimer’s, but we can take away some of the steam from people who think it is okay by reducing the number of Alzheimer’s cases. Simply by postponing the onset of the disease by five years through my program, we can cut in half the number of people who have it. Trent Beattie: Before reading your book, The Anti-Alzheimer’s Prescription, most people probably would not have thought of Alzheimer’s disease as being largely preventable. What are the fundamentals of that prevention? Dr. Fortanasce: The basis of the book is what we call the D.E.A.R. Program. The “D” is for diet, “E” for exercise, “A” for accentuating brain reserves, and the “R” is for rest and recovery. Diet is very important for preventing Alzheimer’s and for being healthy in general. We should be eating foods high in antioxidants, omega-3 fatty acids and folate. That means fresh fruits and vegetables, fish, lean meats, nuts, whole grains, olive oil and dairy products. Then the proportions of what we eat, and what we eat first, is important as well. Exercise is also important, in that it helps to build a stronger, smarter brain by increasing brain mass and capacity and increases the body’s metabolism. Aerobic and anaerobic exercise help to reduce stress and incidence of hypertension, diabetes and depression. In addition to a physical workout, we need to give ourselves a mental workout, which accentuates brain reserves. No matter how old we get, we can continue to rewire our brains by growing new neurons and dendrites. This can be done by learning new things, such as a foreign language, or for men, learning your wife’s birthday. Stress is a big problem today, and if it goes unchecked, it can actually mean the destruction of the brain. We need to learn how to rest and relax, sleeping more and simply enjoying life. The serenity prayer is valuable here in learning what we do have control over and what we don’t — and also what we should be changing and what you should not. Most of us will find we need to meditate more, enhance our other religious practices, listen to good music, laugh and actually enjoy things rather than constantly thinking about what we have to do next. Trent Beattie: Do you have a patron saint? Dr. Fortanasce: Yes, my patron saint is St. Anthony of Padua. In fact, all six of my children are named Anthony. That is, all of their middle names are Anthony. Next Article What is “Normal”?